Do you love being physically active? Want to know what sporting and physical activity opportunities are available in your area? And how to access them? LCiL, in partnership with Sports England, Disability Rights UK and Cheshire CiL, are involved in an exciting programme. The aim of it is about developing opportunities for disabled people to access sport and physical exercise using personal budgets. The project is taking place in Leicester and Cheshire, developing local opportunities with sport and activity providers, working with contacts in local authorities and most importantly support disabled people to access the opportunities that interest and inspire them. If you are a disabled person (14+), family member, sports organisation or health or social care professional in Leicester please contact Daniel Ball for more information and ways to get involved. Are you disabled and want to work in the fitness industry? Know anyone who does? LCiL and Get Yourself Active are supporting Aspier’s Instructability course this year. Instructability is fitness industry training for disabled people. The Course is FREE and includes a level 1 community activator award, level 2 Gym Instructors and level 3 exercise and disability qualification. The aim of the project is to get more disabled people working in the fitness industry. Once trained the you will go into a local leisure facilities for a 3 month Voluntary placement. During the placement you will be supported to deliver outreach work to get more disabled people accessing the facility. Applications are now open for anyone wanting to apply! This year’s course will be run at the Peepul Centre (Orchardson Ave, Leicester LE4 6DP) with voluntary opportunities around Leicester and Leicestershire. All applicants must be able to commit to all training dates and 3 month voluntary placement, unemployed, and aged 16+ with gym user experience. Successful applicants will be invited to an assessment day where the final candidates will be selected. We are very proud to launch the brand new Get Yourself Active website for people who want to get active and those who want to support them. You can discover a range of useful information to help you navigate your way through the world of physical activity, sport and personalisation. The website is unique because it gives users the information they need to start to think about incorporating physical activity and sport into the support plan and perhaps using their personal budget to pay for activities, support, transport etc. to take part. The idea is that we give disabled people and those that support them the tools to ensure that they have choice and control when it comes to being active. 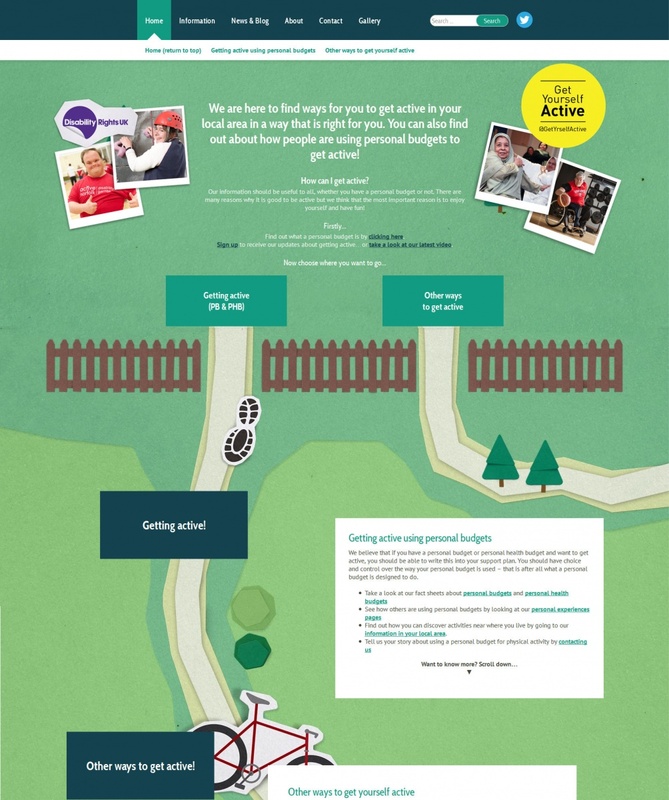 Follow the paths on the homepage, these should help you to go to the right parts of the website for the information you need whether you are a disabled person, health or social care professional or physical activity provider. You can also find out more about our delivery partners in the Abouttab which also gives some information on why it is important to have choice and control when being active. We will be adding lots of new content as part of the launch over the next few weeks so please follow us on twitter @GetYrselfActive to stay up to date!